WE OFFER A MEETING OR EVENT SPACE FREE TO ANYONE WHO CATERS THEIR EVENT WITH US. A SPACE WITH ITS OWN ENTRANCE SEPARATE FROM THE MAIN DINING AREA. IT IS PERFECT FOR UP TO 50 PEOPLE. THERE IS A LARGE SCREEN SMART TV FOR SLIDE SHOWS, MUSIC, & MORE. WE CAN SET UP THE SPACE TO ACCOMMODATE A VAST ARRAY OF NEEDS FROM SPORTS VIEWING PARTIES, CLASSROOMS, PRIVATE & CORPORATE MEETINGS, LUNCHEONS ,FAMILY REUNIONS, ETC… WE ALSO OFFER AFTER HOURS EVENTS. 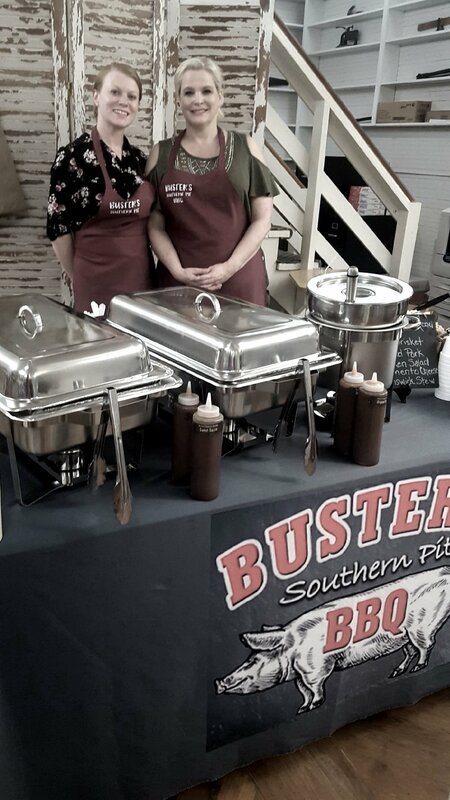 EMAIL US AT BUSTERSBBQ59@GMAIL.COM OR CALL (251) 947-0089 TO SCHEDULE YOUR NEXT EVENT. It was his idea for us to get the larger cups. He says we won The Best Sweet Tea in Robertsdale award all because of him! 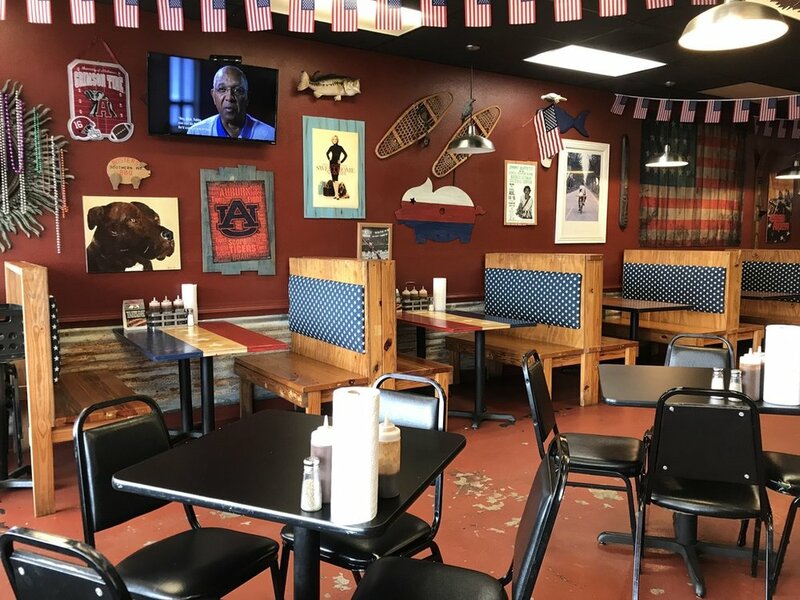 Located in the center of scenic small town Robertsdale, Buster’s is here to bring Barbecue to Baldwin! Here at Buster’s our smoker runs all day long while you chow down on great food. 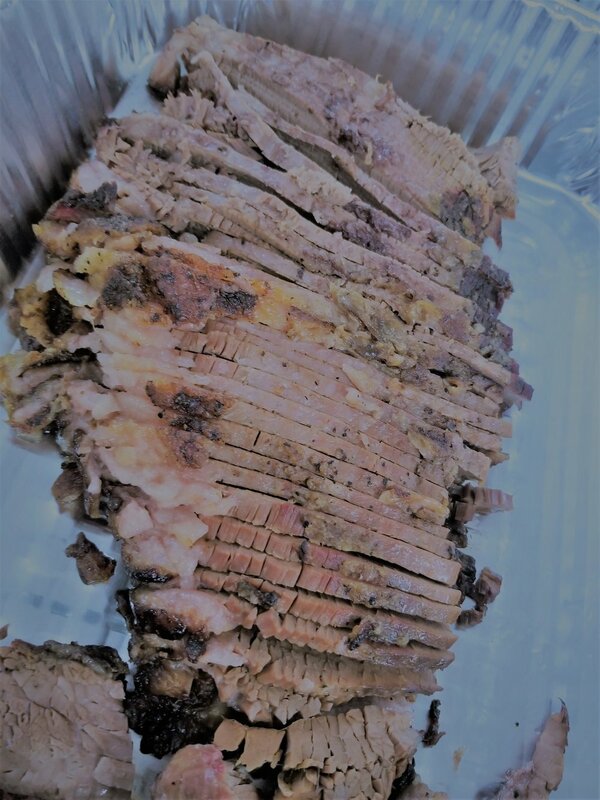 We have meats smoked to perfection and homemade sides. We cater on and off site events. From corporate to personal any style you need. 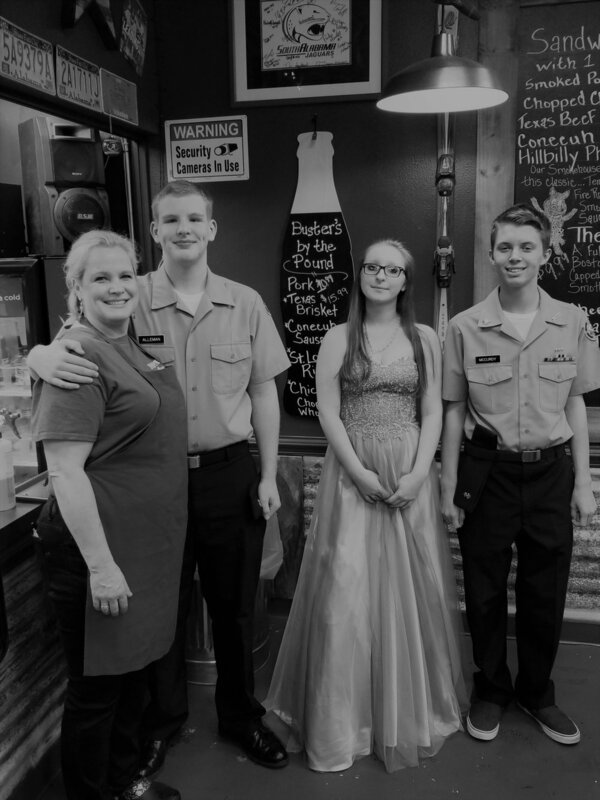 We cater BBQ & More and can provide full service, delivery, table service or buffet style. Here’s a sample of our catering menu. 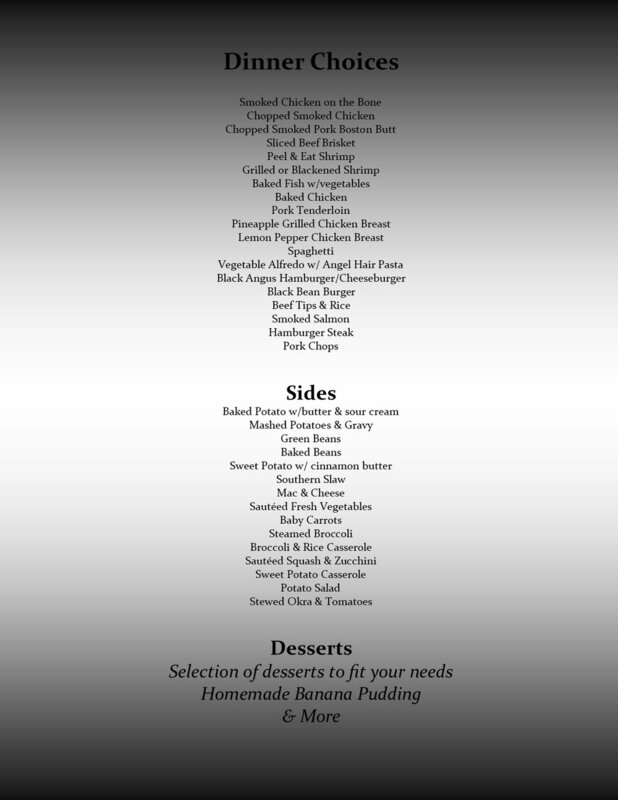 If what you need isn’t on this menu, don’t worry we’ve got more! Email us @ bustersbbq59@gmail.com or call us @ (251) 947-0089. Let’s discuss how we can help you with your event, special day, corporate luncheons and more. It would be our pleasure to serve your catering needs.